Common sleep disturbances such as sleepwalking, nightmares and night terrors are a distinct sleep phenomena and fortunately not a sign of a psychological or emotional disorder, more a representation of a maturing neurological system. Any of these presentations can be very unnerving for the observing parents, but typically the child is completely unaffected. Children with irregular sleeping schedules may be more vulnerable to these sleep disturbances. Beyond the age of two as many as 70pc of children will experience a sleep disturbance at some time. Between the ages of six and 16 sleepwalking may occur up to 12 times per year in around 5pc of children. An additional 5-10pc of children may sleepwalk one to two times per year. It has been suggested that boys are more likely to experience this sleep concern and that there is a genetic factor also. Typically, sleepwalking, a partial arousal parasomnia disorder, will occur within the first three hours of going to sleep when the brain is entering a slow wave-type sleep. Each episode may last for up to 20 minutes and mostly parents will be ineffective here until the incident has passed. It is unlikely that your child will remember the next day. 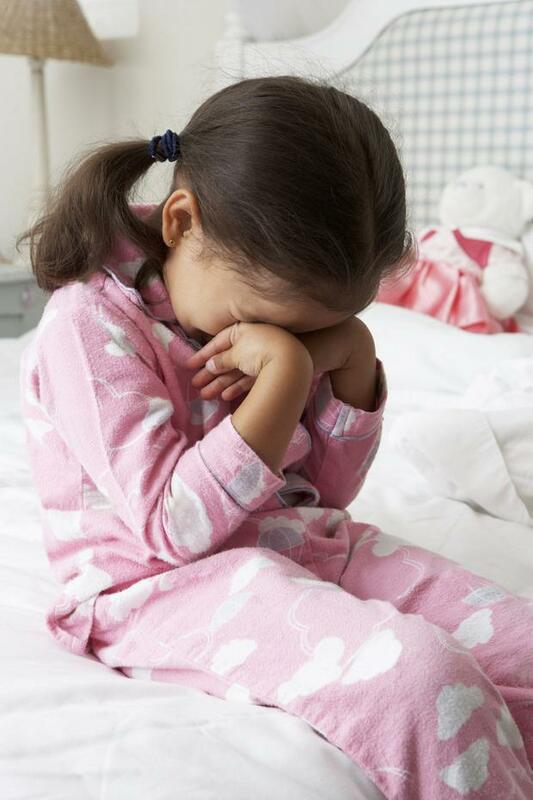 A large concern with a sleepwalker is safety, so it is a good idea to be prepared if your child has demonstrated a vulnerability to this disorder. Parents are encouraged not to intervene by trying to rouse them, as waking your child may potentially upset them unnecessarily. Instead gently guide your child back to bed and remain with them until they have settled back to sleep. ● Use an alert system like a bell hanging over their door to signal to the parents the child is on the move. It is not unusual for children (and adults) to mumble and chatter while asleep. Children are more likely to talk in their sleep because the linguistic centres of the brain are highly stimulated, particularly in the preschool years. From three to 10 years old almost 50pc of children will chat in their sleep at least once a year. Once more, boys may be more inclined to experience this sleep disturbance. It is not unusual for children to shout out simple phrases. "I don't want to go away," for example. There is no need to worry, it is a normal presentation. Nightmares are also a normal part of development and happen during the second part of the night during REM or dreaming sleep. It is a very common complaint especially between the ages of three to six with studies suggesting 25pc of children have at least one nightmare per week. A nightmare can be very alarming for a young child and the fear is very real: normally represented by being chased or stuck somewhere. Your child will typically call for you or come into your bedroom looking for reassurance and comfort; this you should provide. It can be useful to avoid allowing your child to be exposed to scary or frightening images, programmes or audio. Carefully pick the type of books that are read at bedtime and be mindful of anything that may cause unnecessary fear and anxiety. Talk to your child about what disturbs them, ideally during the day and consider a coping mechanism for scary thoughts like a monster spray, a magic wand or shield or a special stuffed toy to keep him/her safe. ● Have siblings share, as long as they behave! ● Be mindful of what your child is seeing and hearing to avoid anxiety. Night terrors can be easily identified and typically happen within the first few hours of sleep, during deep 'non-REM' sleep. During an episode the child jolts awake from deep sleep, wide-eyed, frightened, screaming/shouting and possibly sweating with a racing heart. As this is a partial arousal disorder, your child is not awake, will not recognise you or realise you are there; he/she may push you away while at the same time call for you. Unfortunately this can last for up to 15 minutes and then end. Your child usually won't even remember having the night terror. It can be very upsetting for us parents to witness our children so distressed; thankfully, they are not representative of a psychological disorder. Commonly night terrors will happen within two hours of the onset of sleep, but I have experience in my practice of them happening throughout the night and/or the early part of the morning, but this is extreme and commonly a child who is not efficient at sleeping independently. The single biggest cause of night terrors is being over-tired. Ensuring that your child gets enough sleep, can in some instances diminish significantly and sometimes completely eliminate the phenomenon. As little as an extra 30 minutes of sleep at the start of the night can make all the difference. ● By keeping a sleep diary you may be able to see a pattern. So if they are happening two or three times a week at the same time, you can try to pre-empt the partial arousal by gently rousing your child 15 minutes before the episode typically happens; enough to make them roll over, mumble, for example, and then go back to sleep. When this is implemented for up to 10 nights, it may help to break the cycle.